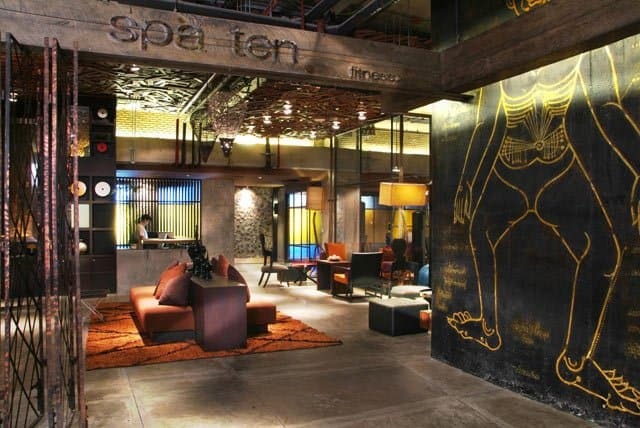 The perfect place to stay for the creatively inclined, the highly rated Hotel Max is geared towards lovers of all things arty and musical. 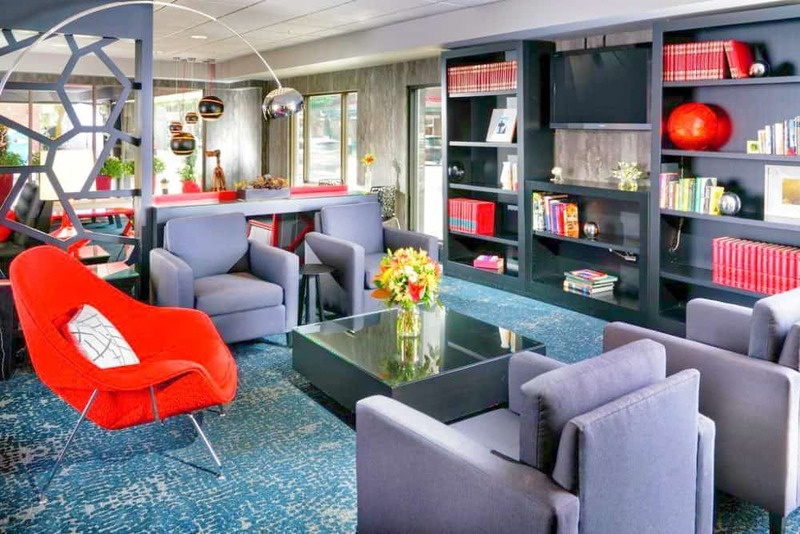 Just a 5-minute walk from the Westlake Centre and the Washington State Convention Centre, this funky Seattle hotel will entice you with stylish bedrooms featuring original paintings, iPods and work desks, flat-screen TVs and free Wi-Fi as well as it’s reasonable prices. Everything your inner urban artist could desire can be found at the Max, including a complimentary craft beer hour, locally brewed coffee, the cool Miller’s Guild grill and exhibits of iconic local photographers. 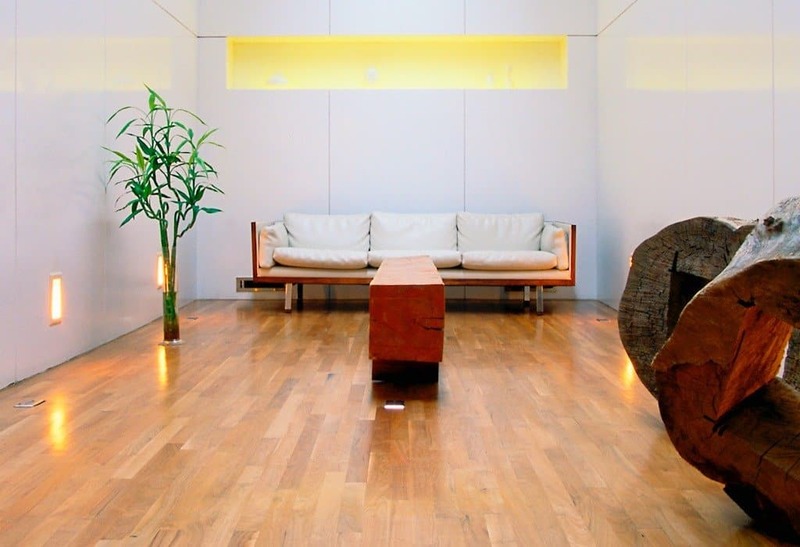 Located in the heart of downtown Seattle, the Max is a delight for anyone interested in the creative side of the city! This 12-story iconic building is located slap bang in the middle of downtown Seattle and just a short walk from the Puget Sound waterfront. Close to the famous Pike Place Market and Seattle Art Museum, the 4-star exceptionally rated Thompson Hotel is spot on in terms of location. The interior and facilities on offer are also first class, with sleek and contemporary bedrooms complete with floor-to-ceiling windows, 42-inch TVs and rainfall showers in the bathrooms. Upgraded rooms have truly incredible panoramic city or sea views. Visitors can choose from the Scout PNW farm-to-table restaurant space or the rooftop bar, cocktail lounge, and terrace that can be found in the famous Nest area on top of the building. 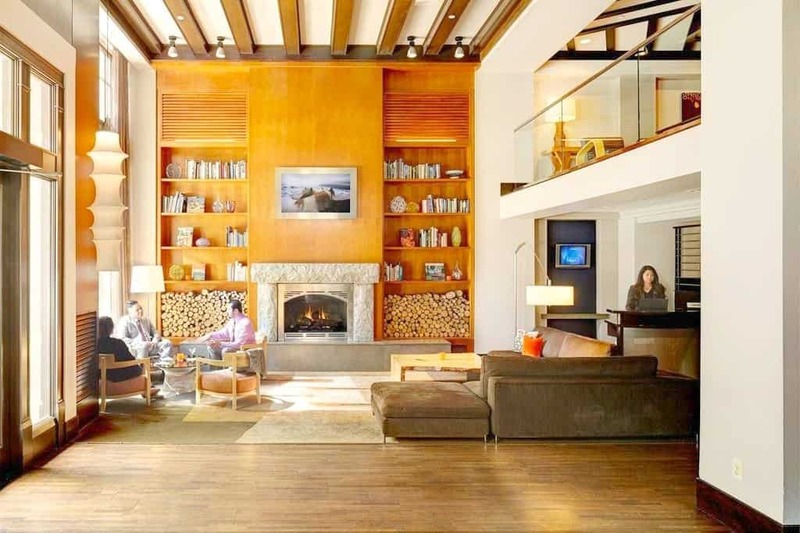 A truly gorgeous and very cool Seattle hotel with fabulous views – you really can’t go wrong! With a penchant for unfussy luxury, quirky interiors and an unrivalled cool atmosphere, the exceptionally rated Ace Hotel is a hip and happening hotel situated in the heart of Belltown, close to the attractions of downtown Seattle. 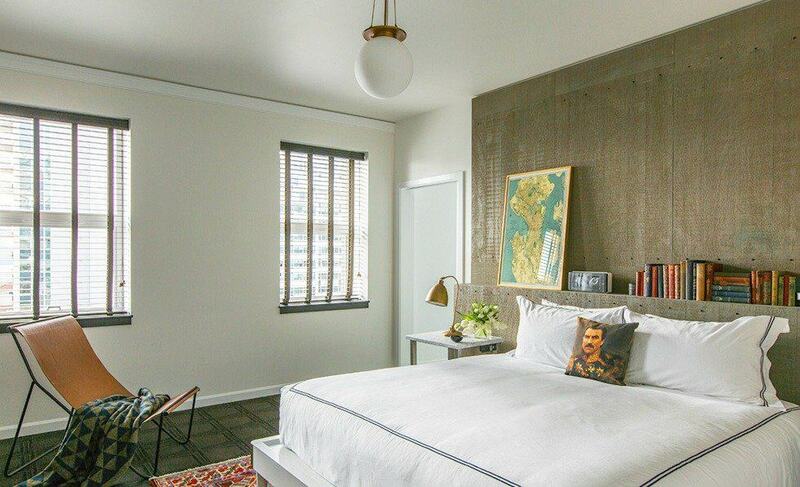 Lofty ceilings, hardwood floors and art by original artists like KAWS and Shepard Fairey come as standard in this affordable but very cool Seattle hotel. Keep costs down by booking a well styled double bedroom with access to a shared bathroom, or go all out and book a spacious room with private facilities and water views. This unique, urban Seattle accommodation is located in a trendy part of town, with a dedicated breakfast room offering the Pacific Northwest favourites of waffles, juice and Stumptown coffee. A fantastic choice for any passing hipsters! A turn of the century hotel located so close to the waterfront that you can almost smell the fresh sea air! 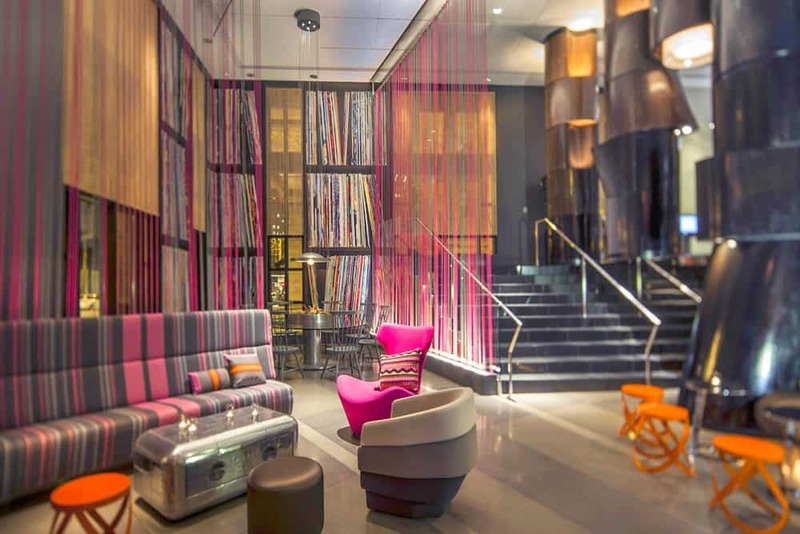 The 4-star exceptionally rated Kimpton Alexis offers den-like rooms with modern and historic touches throughout as well as other perks such as a fitness centre, gorgeous artwork and a sociable wine hour. A peaceful sanctuary that conjures up thoughts of a 1900s salon, the upscale stylish bedrooms are thoughtfully dressed in calming colours, Italian Frette linens, and top-of-the-range comforters. 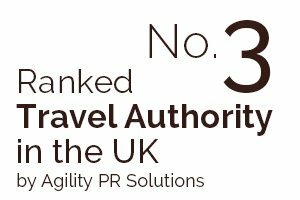 Despite their tranquillity, they still offer the modern conveniences of ergonomic desk chairs, flat-screen TVs, an Amazon Echo Dot and yoga mats in every room. Some have gorgeous four-poster beds and panoramic city views. The Bookstore Bar and Cafe offers fine cuisine in a cosy setting, while the chic and contemporary Seattle hotel itself is located in the West Edge neighbourhood bordering the waterfront, Pioneer Square, Belltown, and the retail heart of Seattle. Wonderful! Uniquely located directly inside the world famous Pike Place Market only a mile from the Space Needle, the 4-star and exceptionally rated Inn at The Market offers modern Pacific Northwest styling and comfort throughout, and is ideally positioned for exploring the entire downtown area. 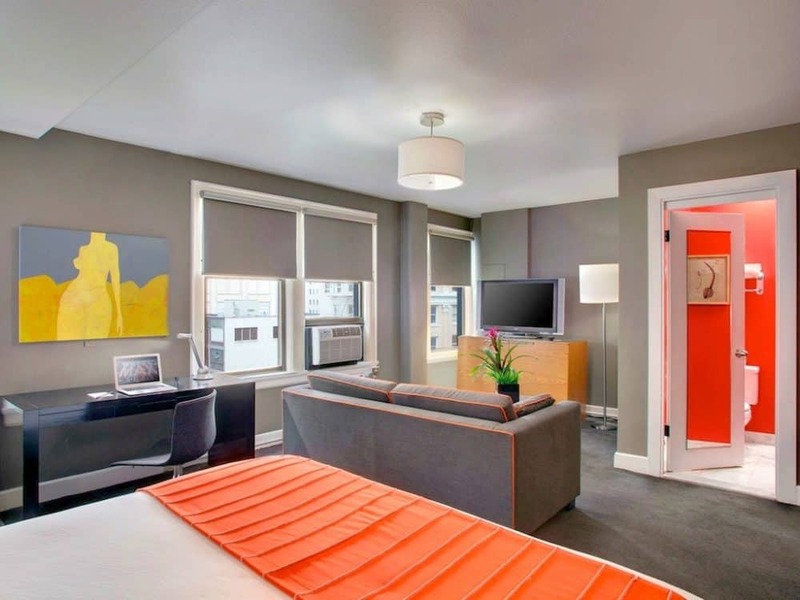 Choose from city side rooms that offer bright retro interiors for a cost-effective price, or splash out on a water-view room that looks out over Elliott Bay that is home to a variety of state ferries, sailboats, yachts, and cruise ships. All offer ultra-trendy floor to ceiling windows, flat-screen TVs, iPod docks, free Wi-Fi and in-room spa treatments. Wherever you choose to lay your head, the rooftop deck will still mean you can catch breath-taking views out across the water as far as the Olympic Mountains beyond. A superb collection of eateries and bars are available in the hotel itself or in the surrounding neighbourhood. 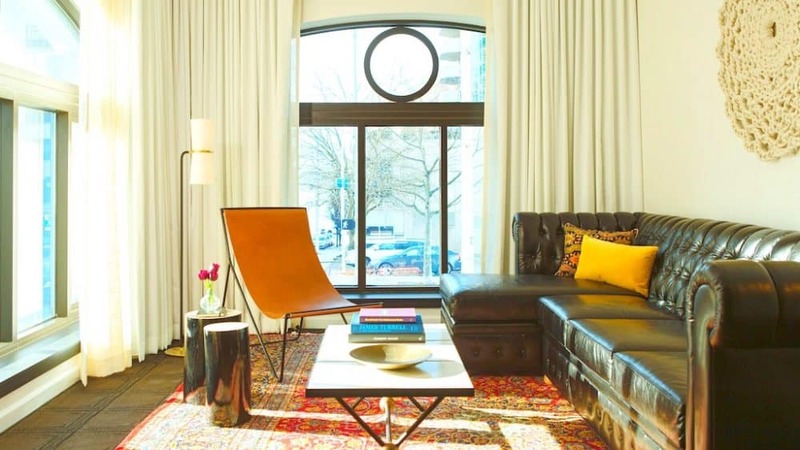 A hip and quirky hotel in Seattle that is bound to please! Prices from $190 per night. 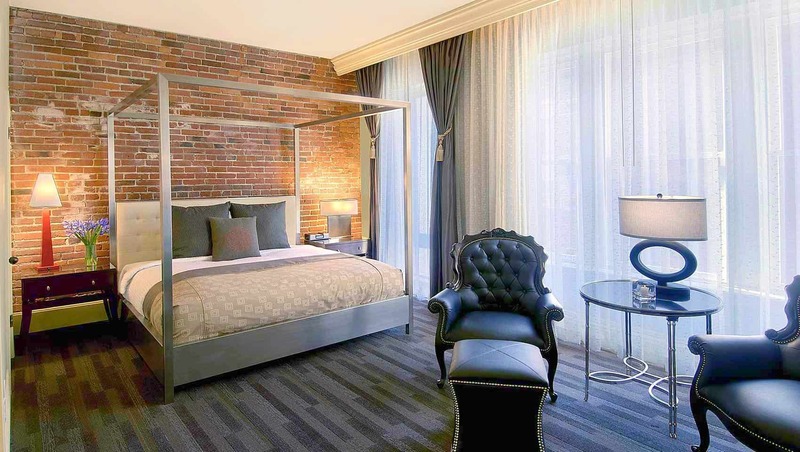 This swish boutique hotel is situated on Fourth Avenue, right in the heart of downtown Seattle. 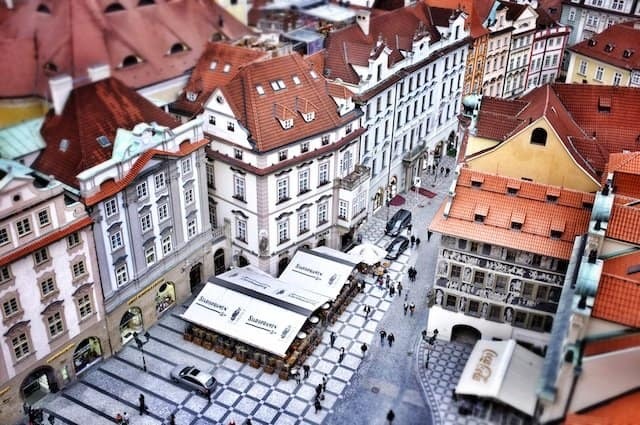 With a charming atmosphere and a lobby that could easily be mistaken for a cosy living room, the 4-star very highly rated Hotel Andra is a relaxing oasis in the heart of the city. 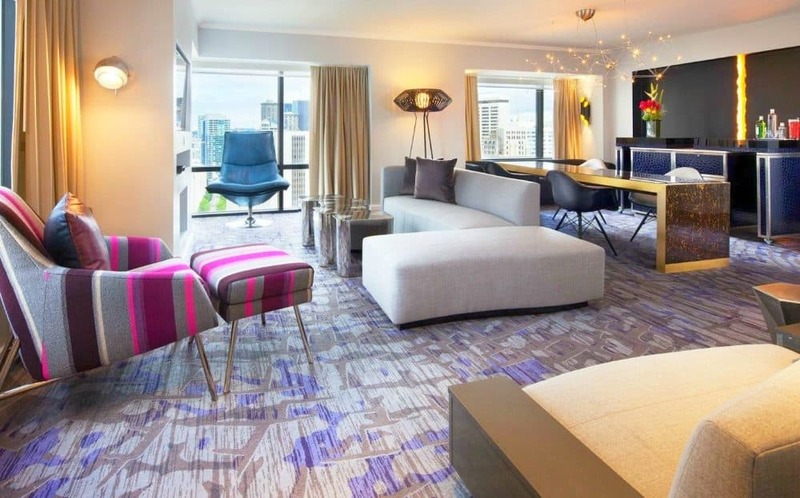 This contemporary and chic Seattle hotel is within walking distance of such central iconic destinations as Pike Place Market, the Seattle waterfront, and downtown Seattle’s thriving retail core, you can enjoy the best of both worlds here. The bedrooms are comfortable and ultra-stylish and offer calming textures and a subtle Scandinavian design, complete with LCD flat panel TVs, free WiFi and spacious desks for mixing business with pleasure. Head to the onsite gym, relax in the lobby by the fire or the bar or dine in style at the Lola or Assaggio Ristorante during your stay – just an all-round fine place to stay! Prices from $160 per night. 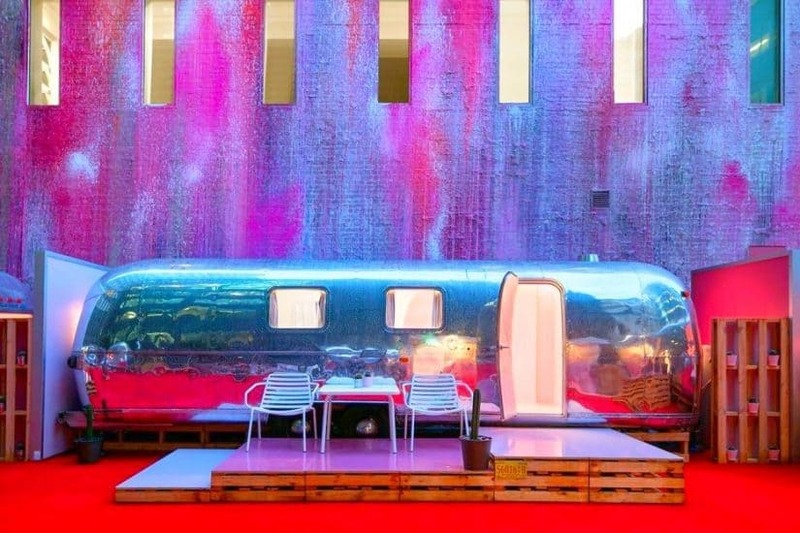 Cool, ultra-colourful and contemporary, this art-filled unique Seattle hotel is just a 10-minute walk from the Space Needle and 2 miles from Pike Place Market. At the very highly rated Hotel Maxwell choose from hill rooms that look inwards towards the city or view rooms that face out across the Space Needle. 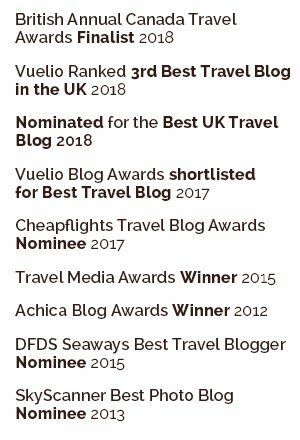 All the funky rooms offer sumptuous surroundings and comfortable sleeping quarters complete with free WiFi, flat screen TV’s, iPod docks, Mini fridges and coffeemakers. Feeling hungry? Grab a coffee and a light snack at the Pineapple Espresso bar, or ask the friendly staff to point you in the direction of the best eateries in town. You can also take advantage of the indoor pool, gym, onsite pizzeria, loaner bikes and even afternoon pineapple cupcakes – how cute is that? 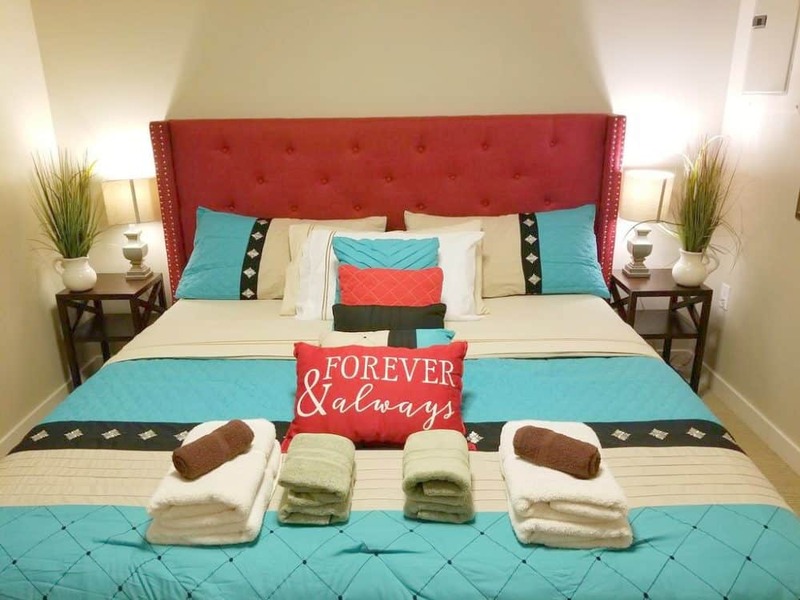 Prices from $120 per night. 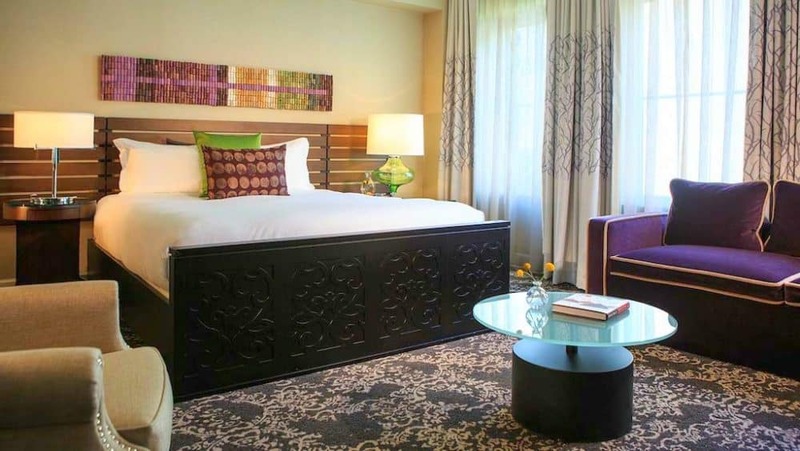 A favourite with wine connoisseurs, the 4-star and much loved Kimpton Hotel Vintage combines rustic charm with elegant surroundings in a stunning space in downtown Seattle. 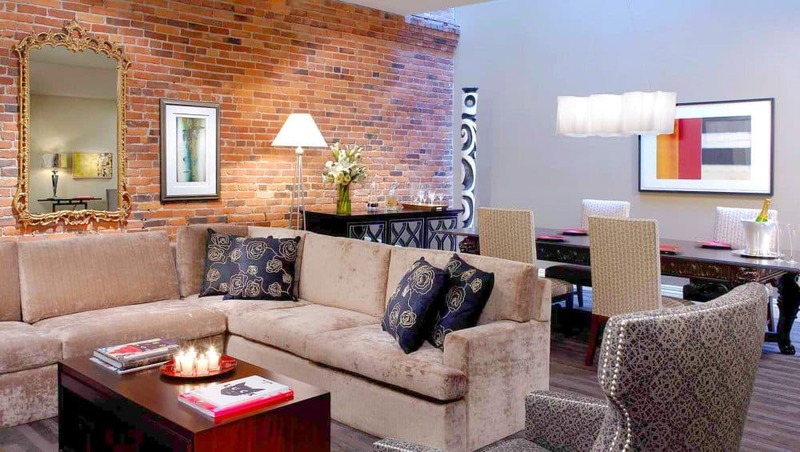 As an outpost of Washington Wine Country, the chic Seattle stay offers nightly wine tastings and has a full staff of vino aficionados to help you make your choice. 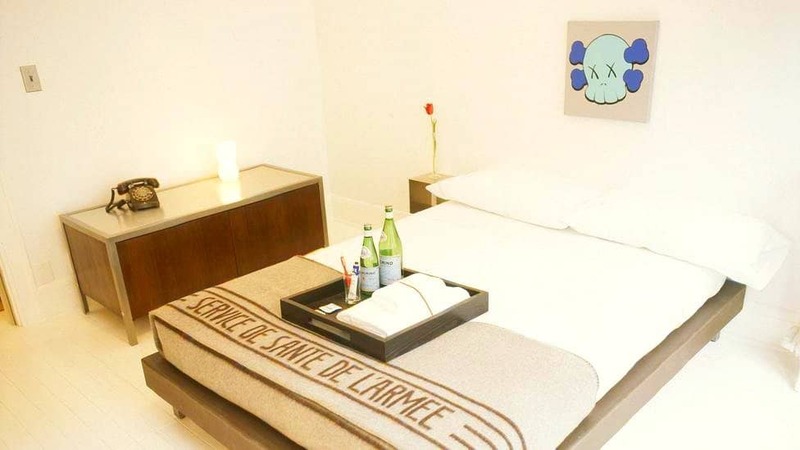 With an award-winning Italian restaurant onsite, yoga mats in every room and complimentary hotel bicycles for use during your stay, this hotel is perfect for anyone looking for fine wines, fine dining and a little bit of “me” time. 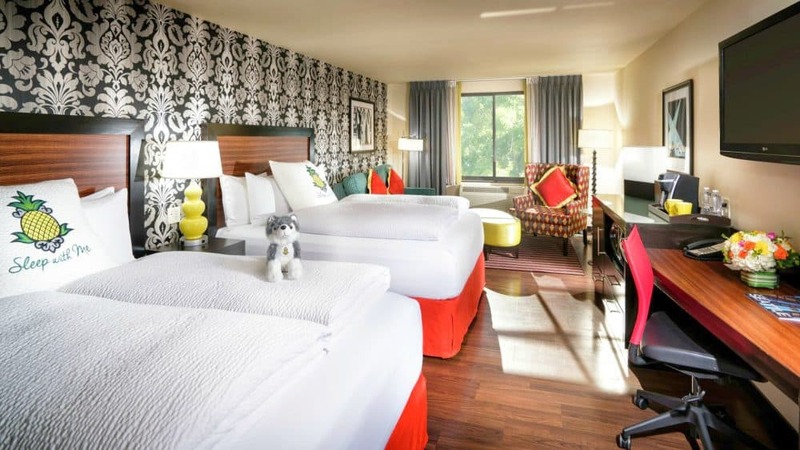 The bedrooms are bright and comfortable and offer a little taste of the wine country, right in the heart of the city. Jutting out into the water atop of Pier 67 on Elliott Bay, this four-story upscale hotel is Seattle’s original waterfront hotel. Originally built for the 1962 World’s Fair, the 4-star highly rated Edgewater Hotel is an iconic landmark in the city. 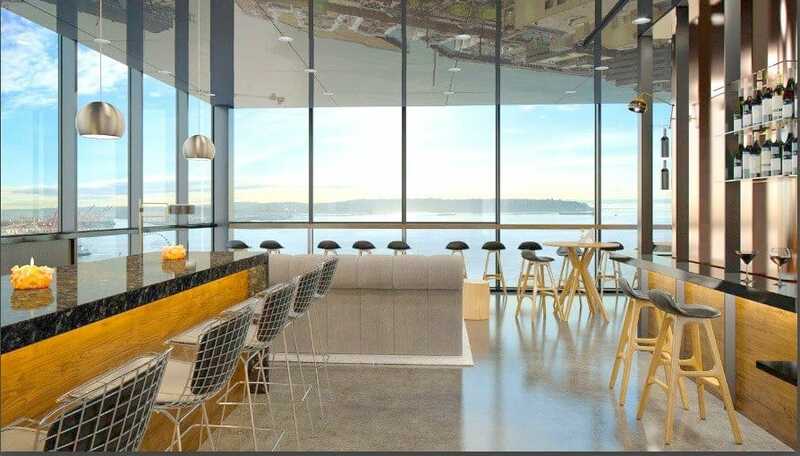 Close enough to downtown to be convenient, yet with a waterfront vibe, this trendsetting Seattle accommodation has been home to such rock and roll legends as The Beatles, Pearl Jam, Led Zeppelin and The Rolling Stones. 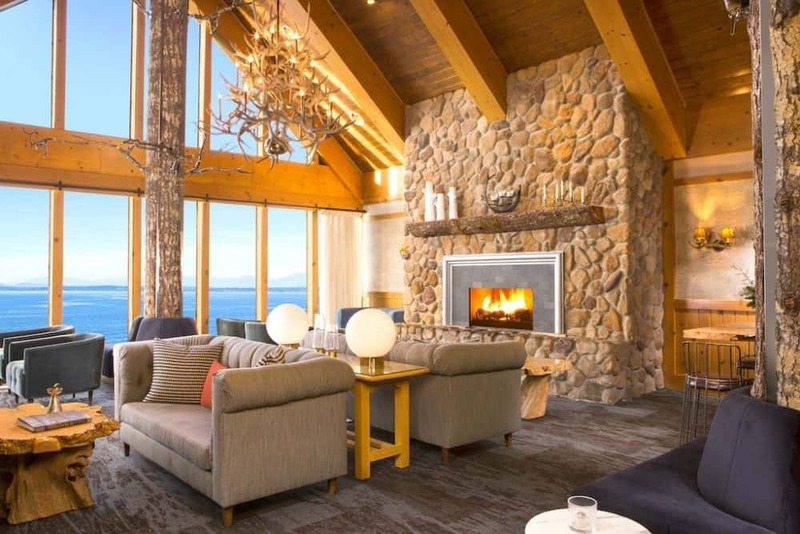 The unique and stylish bedrooms feature custom-designed furniture, buttery soft leather chairs and open fireplaces, and come complete with uninterrupted views across the bay as well as all mod cons. Some have separated bedrooms and claw-foot tubs. Don’t leave without experiencing Northwestern cuisine at its finest courtesy of the elegant Six Seven Restaurant or enjoying craft cocktails overlooking the bay. 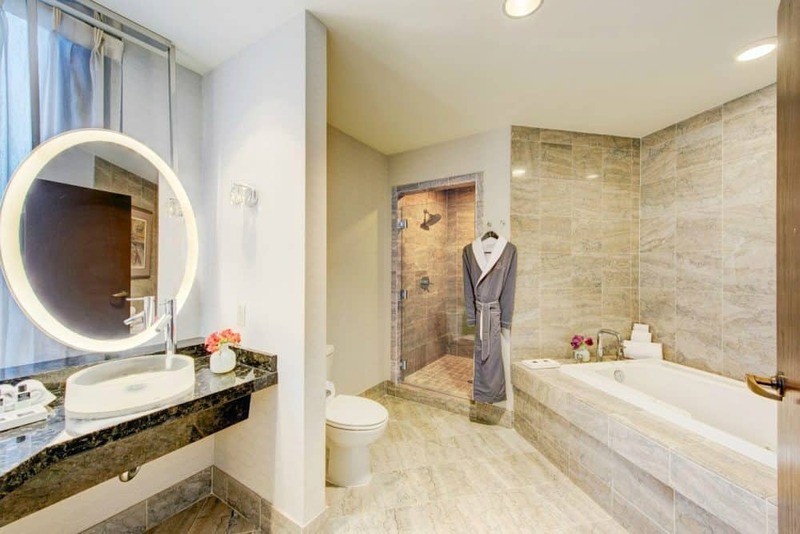 Luxe by name and luxe by nature, this designer inspired apartment JustLuxe Designer Perfect is situated just a short walk from Pike Place Market and the Seattle Centre. Offering a selection of quirky and eclectic interiors, each of the swanky apartments and suites offers first class accommodation with a twist. Wingback chairs, velvet sofas, pool tables and pianos can be found throughout, with every type of accommodation being as unique as the next. 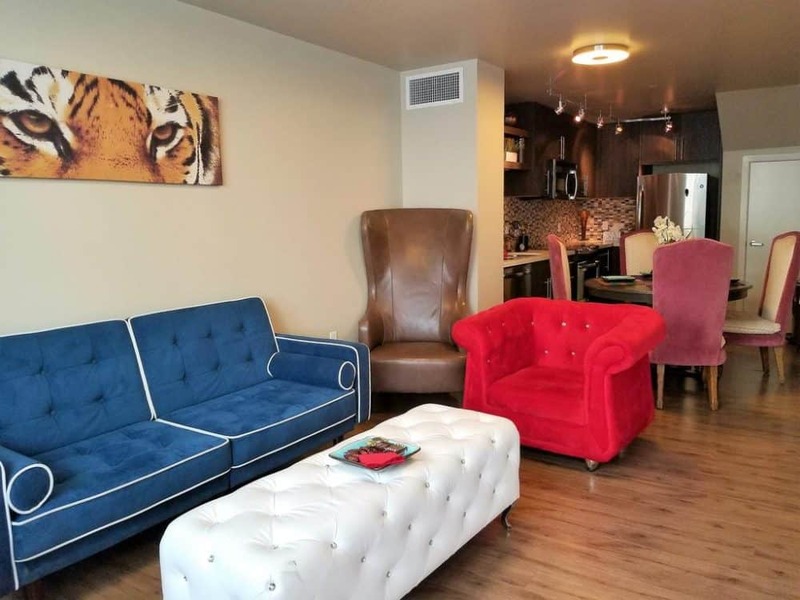 Perfectly situated for exploring all the very best eateries, bars and shops that Seattle has to offer, JustLuxe offers fine and funky Seattle accommodation to suit every kind of visitor. 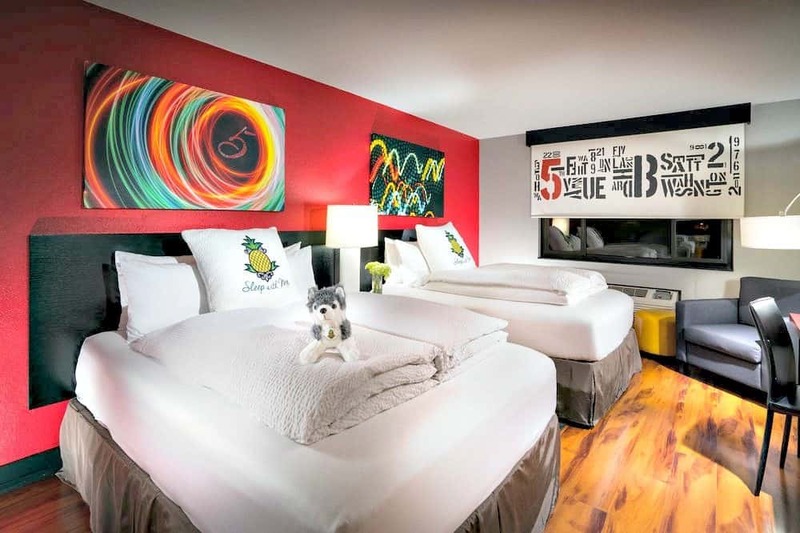 Smack bang in the centre of downtown Seattle, this hip and urban Seattle hotel is perfect for those looking for cool and funky but fuss-free accommodation in the city. Just a few short blocks from Pike Place Market and the iconic Space Needle, you will be based right in the heart of the action. The exceptionally rated Hotel Five‘s interior is fun, cute and colourful and a true feast for the senses with some lux touches like rainfall showerheads and Italian tile floors. High-speed internet and complimentary bicycles are available, as are brightly coloured modernist bedrooms with super comfy beds. As well as their fab fitness centre, friendly afternoon reception with coffee and snacks and local shuttle service we also love their animal friendliness – dogs receive cute goodie bags and their onsite cafe only serves humanely raised & hormone-free products – yay! A hip urban retreat close to very best of downtown Seattle, the 4-star and very highly rated W Hotel is awash with big city energy. 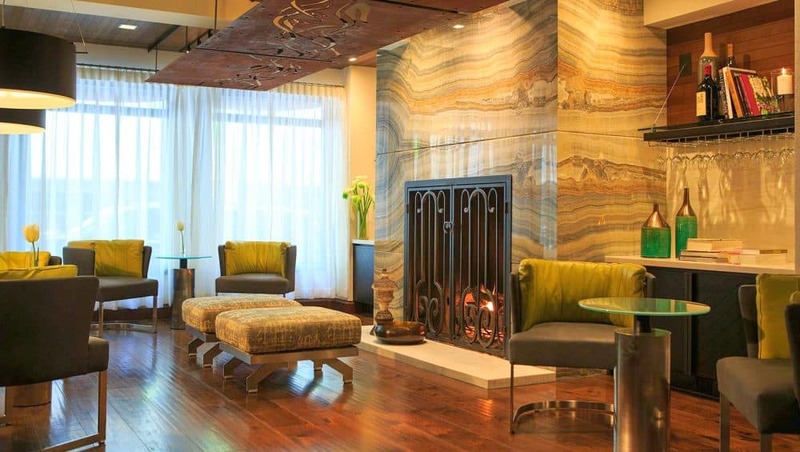 With scenic views across Puget Sound, this luxurious and effortlessly stylish hotel is perfect for anyone looking to catch the true vibe of Seattle. 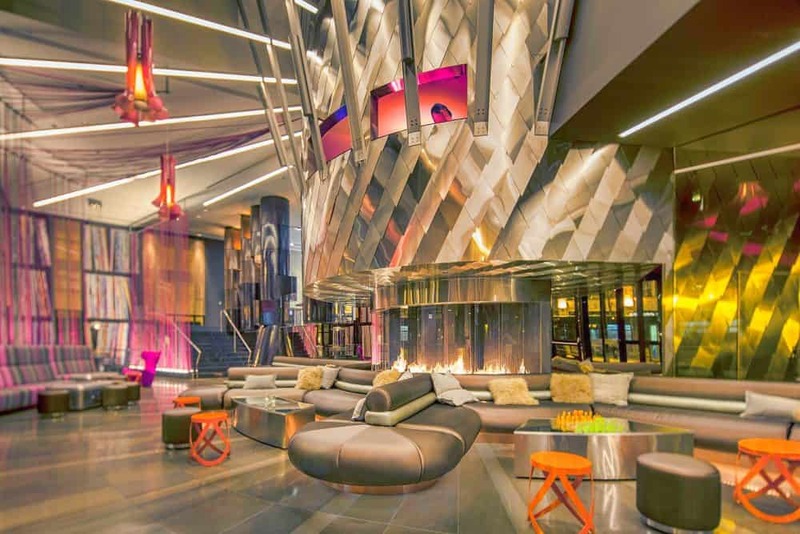 With a funky gym, live music and DJ’s, a lobby bar and lounge and the signature TRACE restaurant, this cool Seattle stay is a hit with hip and trendy visitors of all ages. The bedrooms are stylish, modern and sleek, and offer guests their very own urban lodge experience that combines Native American design with the beauty of the Emerald City, complete with Bluetooth speakers, WiFi and flat-screen TVs. 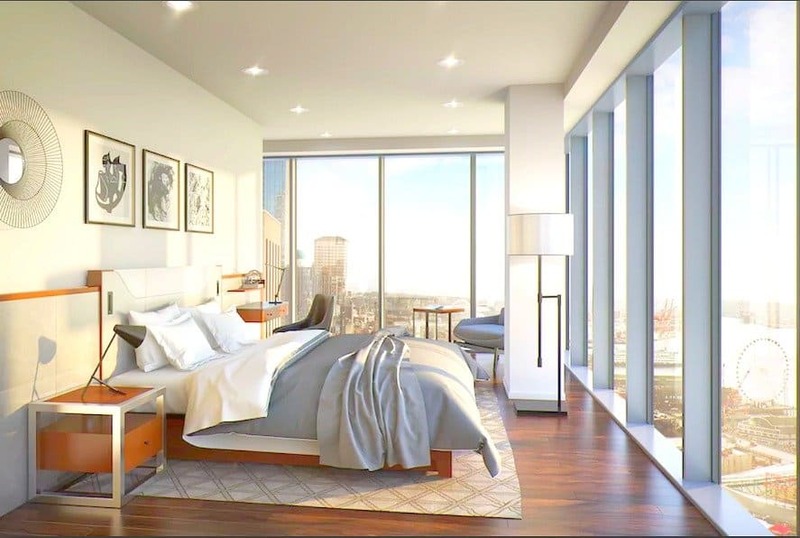 Opt for an upgrade or a suite and find gorgeous floor-to-ceiling windows, lush city views and even whirlpool tubs – nice! 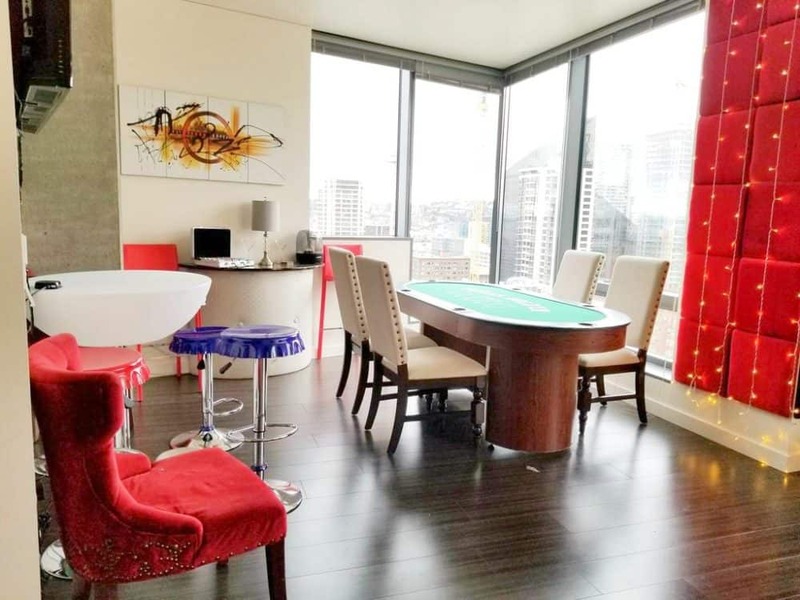 Offering a superb rooftop lounge with fabulous views across the city, this highly rated 4-star destination hotel is located between 5th Avenue and Pike and Union making it perfectly placed for your downtown Seattle adventure. 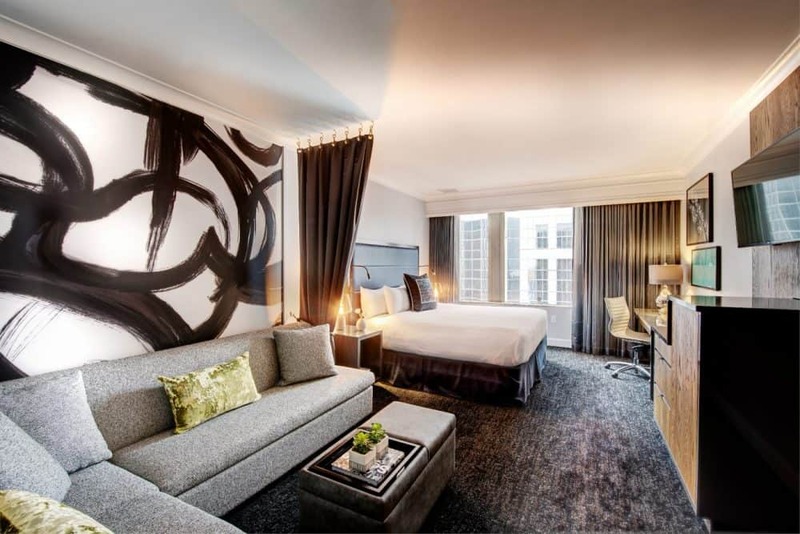 With a sun deck and fabulous decor which includes natural hardwood floors and themes inspired by the Pacific Northwest, The Motif is a first class hotel of distinction that is in touch with the rich art and music culture that the city is so famous for. 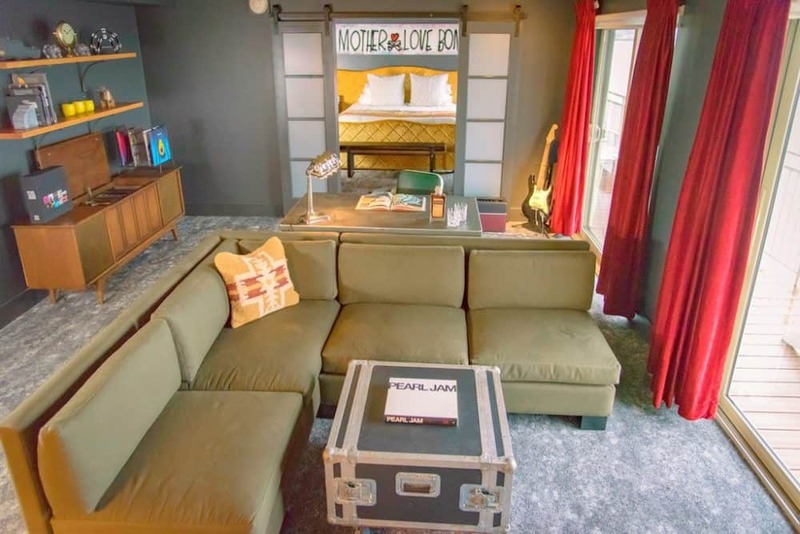 The bedrooms at this modern and chic Seattle accommodation are comfortable and spacious and are dotted with artworks, lyrics and album cover art from the cities influential music scene. 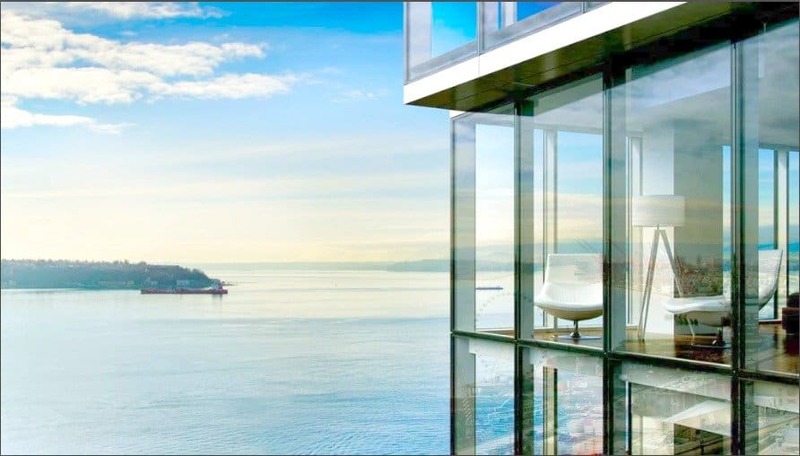 Superior suites also have views over the water and offer the best of both urban living and waterfront chic. 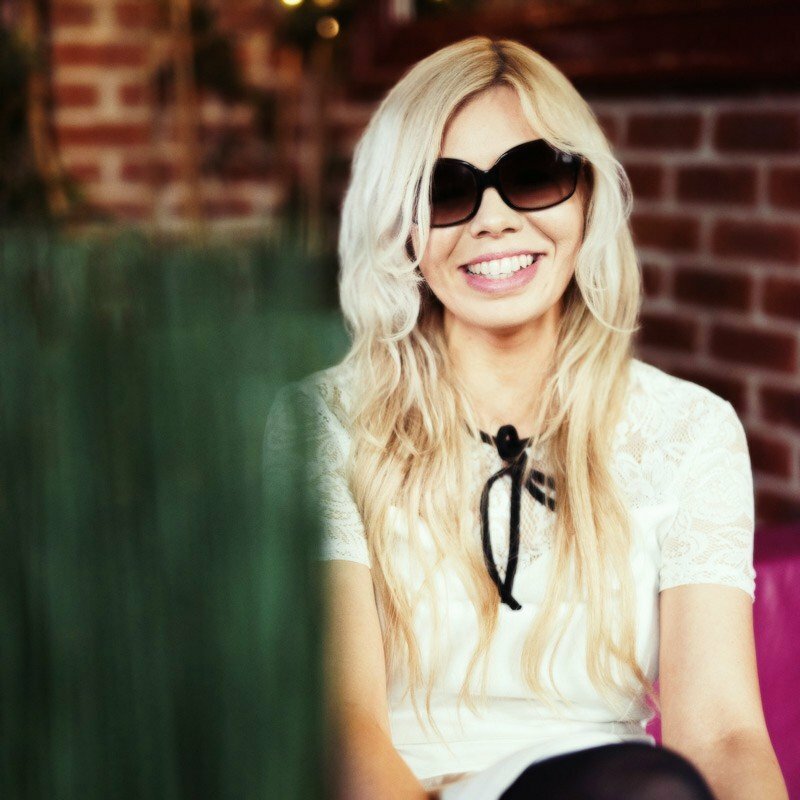 Don’t leave without dining at their hip restaurant which features a patio, fireplaces and shuffleboard or drinking a cocktail on their truly fabulous rooftop bar – coolness in Seattle! 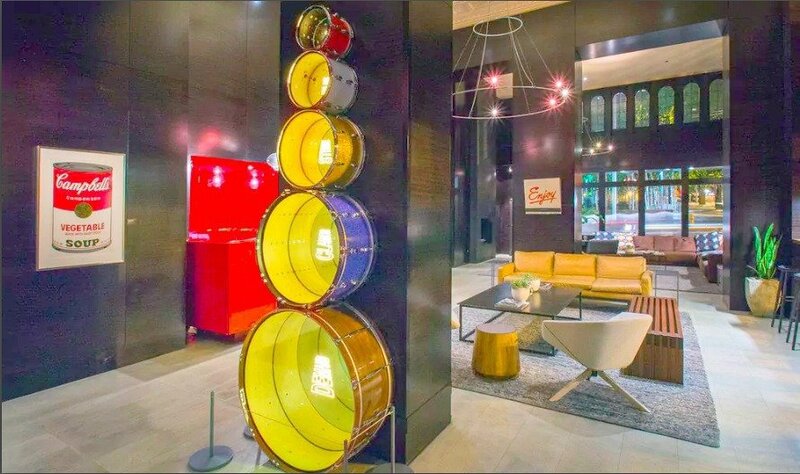 Setting the standard for boutique hotels across the city, the Kimpton Palladian offers the ultimate in retro chic and edgy design. Located in the trendy central Belltown neighbourhood of the city, guests can sample the eclectic delights of this hip part of town, yet still easily access the main tourist attractions like Pike Place Market and the Space Needle. The chic Seattle’s hotel lobby is truly unforgettable with dark walls, and oversize historical works of art, whilst the bedrooms are all uniquely beautiful and feature pop-art pillows, swish bathrooms, in-room yoga mats, Italian linens, minibars and in-room spa services and a colour palette inspired by the sky outside. Some have claw-foot tubs and lush views of the Puget Sound. Other hotel highlights include a sociable free afternoon wine hour, loaner bikes, a fitness centre, a trendy restaurant and a cool cocktail lounge. 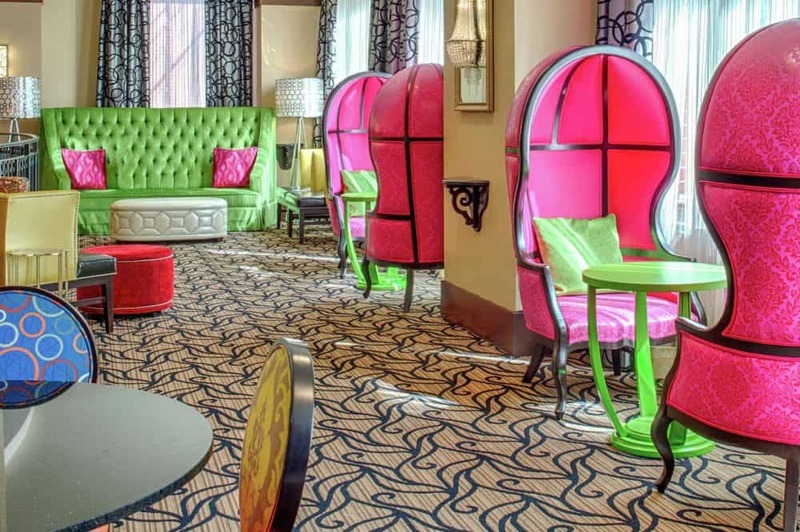 The Kimpton Palace really is a work of art, and just an all-around fabulous place to stay. 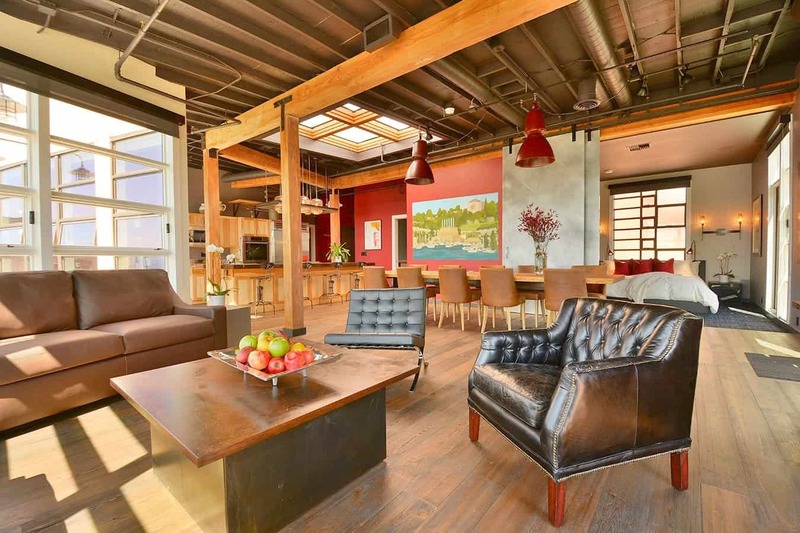 A fun and funky luxury loft apartment, centrally located for easy access to the Space Needle, Pike Place Market and the bars shops and restaurants of downtown Seattle, this private space is available to rent as a whole. Complete with climate control, Cable TV and fully fitted kitchen, the Peak of luxury loft is the perfect base from which to explore the US city. The bedrooms offer large windows and sumptuous sleeping accommodation, whilst the rest of the apartment is full of quirky touches and bright and colourful furnishings. 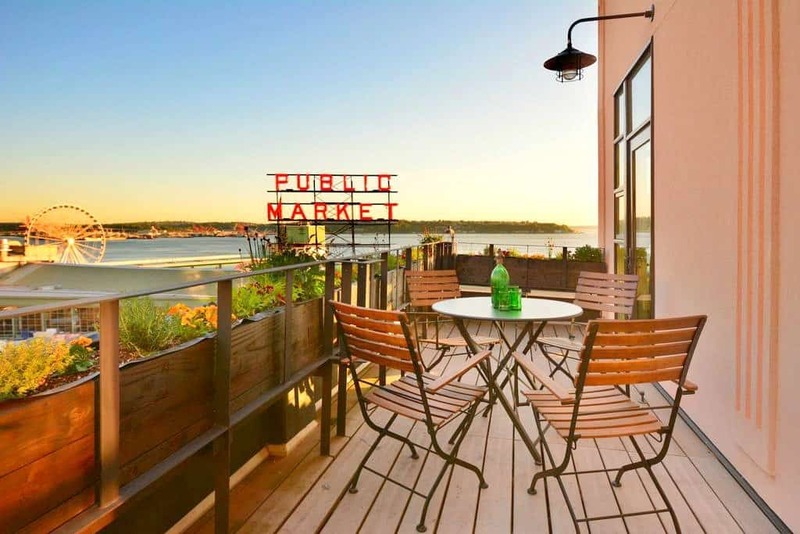 Eclectic Seattle accommodation for two in the heart of the city, which also comes complete with a private entrance and a balcony allowing you to make the most of the city views. 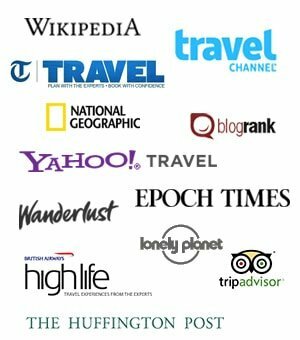 If you liked our collection of cool and unusual hotels in Seattle we also have trendy hotels in Portland and cool hotels in Palm Springs. wonderful! thanks for this….just what i am looking for. have fun! Hotels are amazing. thanks for sharing such an informative post. WoW! these hotels are looking really awesome.